Do you want to help our Monarch butterflies, but don’t know how? Join Airlie Gardens Educators for a family friendly introductory program on how to grow milkweed. 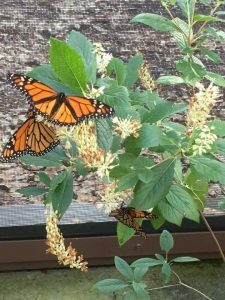 Growing this plant provides much needed habitat for Monarch butterflies. Learn about pollinators and their host plants, and create your very own mini greenhouse to take home! All materials are provided, as well as, native milkweed seeds for planting. Cost is $10 per greenhouse. This event is not included in membership. Please no more than 4 participants per greenhouse. Pre-registration is required. Email ataylor@nhcgov.com with name, number of participants, and contact phone number or call 910-798-7564. Recommended for ages 5 and up, all children must have at least one adult per group.